PMI Toronto Chapter - Digital Disruption in Sports and Entertainment, Building Next Generation Experiences! At this Chapter Meeting, you will hear about the MLSE journey to build the best digital sports experience in the world, its focus on an innovation culture and the lessons learned along with some of the exciting things ahead. Find out about the MLSE's exciting Digital Labs organization and the roles that bring innovation to life! 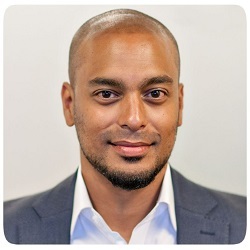 Humza is the Chief Technology and Digital Officer at Maple Leaf Sports & Entertainment. Humza has over 20 years of experience in driving Technology and Business Strategy, while directly contributing to both top and bottom line results. Humza's organization at MLSE is responsible for digital strategy, technology, IT, mobile apps, data science and innovation - including our esports team and initiatives, Raptors Uprising Gaming Club and Leafs Gaming League. Prior to MLSE, Humza was at Compass Group North America where he built a technology and digital strategy company called Compass Digital Labs where he was the CEO. Compass Digital Labs helped to drive billions of dollars of incremental revenue and market differentiation across retail and hospitality sectors across the United States and Canada. Humza has also worked at Allstream, where he led Business Transformation and IT Enterprise Architecture. He has also held various technical and management roles at Bell Canada. A frequent keynote speaker at various North American conferences focused on technology, innovation and driving business results, Humza has built strong technology and business partnerships with top organizations around the globe. This network allows him to innovate creatively and quickly, accelerating business objectives. Humza has an undergraduate degree from York University and holds various professional training accreditations from both the Schulich School of Business and the Niagara Institute, he also serves as the President of the CIO Association of Canada.